I was lucky enough to acquire this signed Ariel recently from the person who won it originally on the TyTrade website. 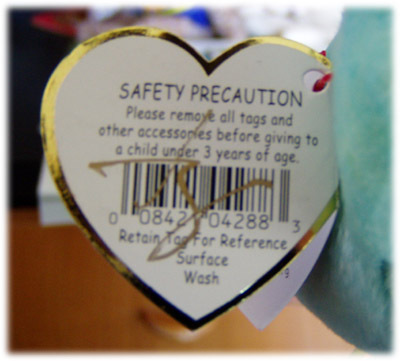 For more information on why these were signed and how many others were signed click here! 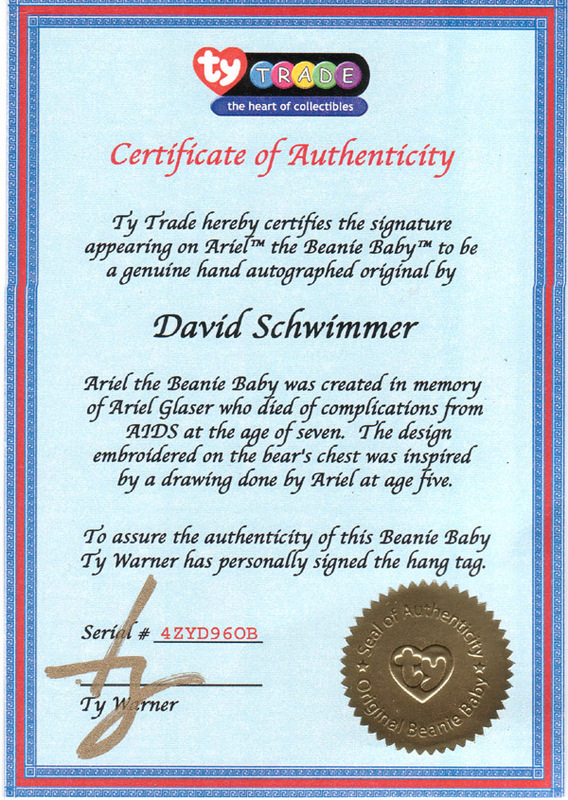 This Ariel was signed by Ty Warner on the back of the hang tag and the inside was signed by David Schwimmer from the TV show Friends! Wow, one of my favorite shows, so this Bear is really special for me! 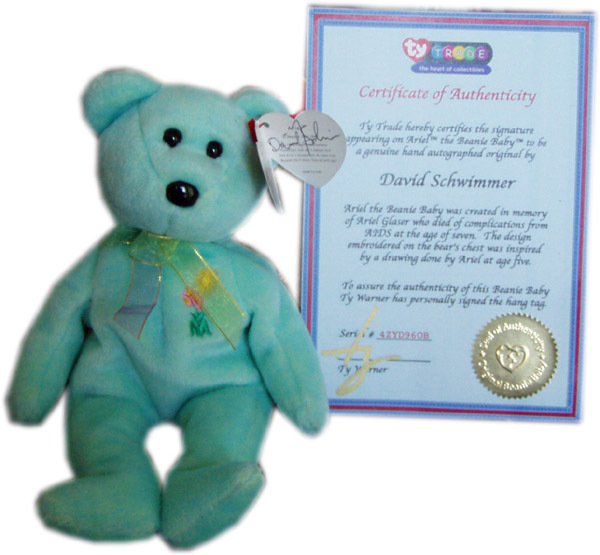 All of the Ariel Bears signed and auctioned off on the Ty website came with certificates of authenticity that were also signed by Ty Warner!